If you are selling your home or just want to improve the street appeal, these top tips will give you all the tools you need to create a magical front yard. Pruning your plants not only makes them look tidier but encourages growth and health. But when is the best time of year for your plants? A good rule of thumb is to always prune after flowering. When pruning, cut just above new shoots and constantly stand back to ensure a nice, even shape. Weeds can take over your garden and lawn very quickly. They steal water and nutrients from other plants and make any garden look unloved. Look after your back by using long-handled tools or paying the kids $5! Start with hand tools making sure you remove the roots. Use a solution of salt and vinegar for persistent weeds. It’s actually quicker, more effective and kinder to the earth than chemical weed killer! Gaps in the garden can be filled with a couple of larger plants rather than many small ones. It looks more effective and can be cheaper. Add compost, manures and fertilizers around the base of new plants to give them the best start in your garden. Some plants can survive without regular watering, but most plants will thrive if given a drink 1-2 times a week. Use a mixture of seaweed solution, worm wee and water in your watering can to use on your plants once a week. This will keep your plants healthy and lush. People love the look of a lush, green lawn and the feel of fresh new growth under their feet. Mulch improves soil, suppresses weeds and holds in moisture. For veggie patches and small areas, use sugar cane or pea straw mulch. For more decorative areas and especially front gardens, use a woody mulch like pine bark. Make sure you set the mower lever to a higher setting so you don’t scalp the lawn and lose the green tips. Remove dead patches of grass and sprinkle over a little compost. Use an edger rather than a whipper snipper for clean cut edges. The cleanliness of the outside of your house reflects the cleanliness of the inside. All paved, decked and cemented surfaces should be clean. Railings, doors, windows and ledges should be dirt and spider web free. Using a powerful high pressure cleaner will save you time and give you a spotless result. First, check your local council water restrictions for when you can use a high pressure cleaner. So now you’ve improved the look and feel of the front of your home, captivate potential buyers with an inviting and relaxing place to sit and enjoy the tranquility. Carefully place a few stylish pots with gorgeous scented plants. Use some eye-catching features and luxurious cushions to suggest comfort and warmth. 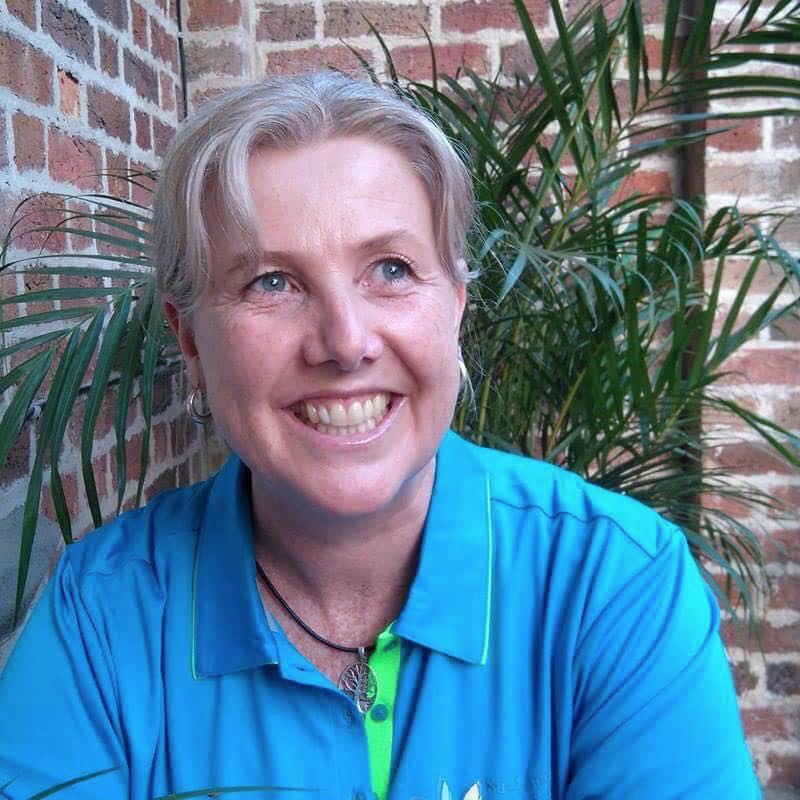 Christine Dodd is the Founder and Manager of Street Appeal Garden Solutions, based in Newcastle, NSW Australia. She is an innovator of 'exterior staging' and together with her team of horticulturists improves the curb appeal of properties with affordable front yard and garden makeovers. T:+61 425 238 491 or via email here.